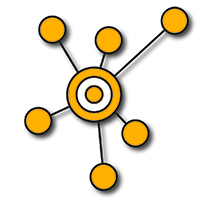 When it comes to job searching, it is not always about what you know, but who you know. 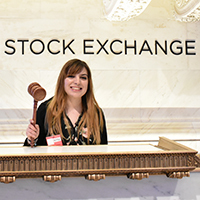 During the Hart Career Center's Career Immersion Excursion, 21 students met and networked with alumni living and working in New York City. 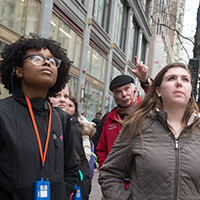 Illinois Wesleyan's inaugural group of First-Year Humanities Fellows (FYHF) explored the real-world interdisciplinary connections among fields in the humanities during a five-day cultural immersion experience in Chicago. 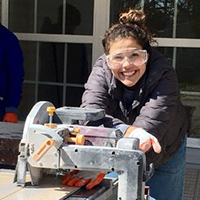 While spring break might conjure up images of sunny beaches and afternoon naps, 18 Illinois Wesleyan students envisioned picking up their power tools and paint brushes as volunteers for the Habitat for Humanity Collegiate Build. 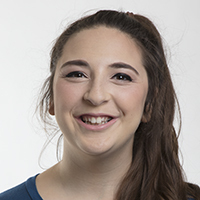 Zoe Bouras '18 has been awarded the 2018 Technos International Prize, an annual award recognizing a student who has excelled academically and has contributed to broadening international awareness and understanding. 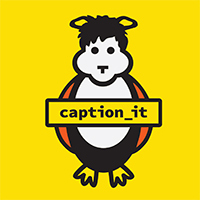 First-year computer science and physics double major David “Nico” Lopez '21 brings the fun – and the funds – with a $1,000 scholarship which will go toward developing a party game app called Caption_it. 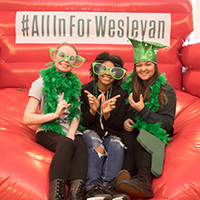 Embodying this year's All In For Wesleyan theme to "Think Bigger," a total of 2,193 donors teamed up to raise $714,533 during IWU's one-day giving challenge held on Tuesday, April 3. Building upon a shared interest in broadening participation of underrepresented minority students in STEM fields, Illinois Wesleyan has partnered with the Louis Stokes Midwest Center for Excellence (LSMCE). Illinois Wesleyan's Josie Blumberg '19 is the winner of a $500 mini-grant that will continue to support Bloom Community School's efforts in providing an innovative education.